This table is beautiful and durable. 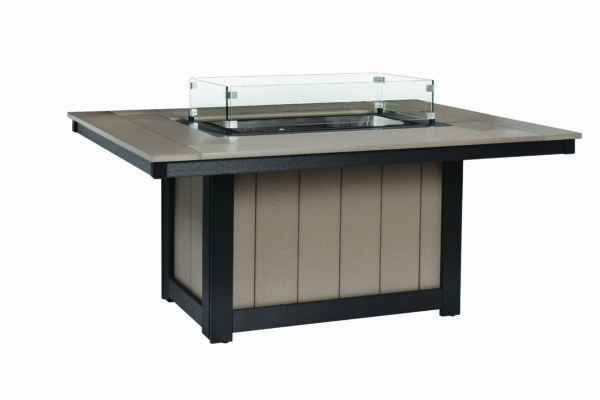 A gas fire table completes your outdoor room and perfectly compliments your outdoor furniture. 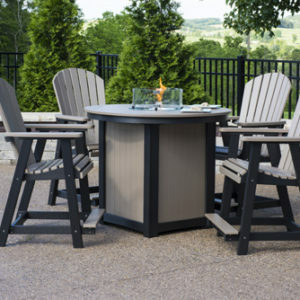 Made from durable recycled poly lumber, this table offers quality and beauty that will last for decades. 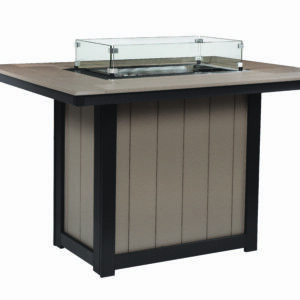 This gas fire pit table comes with a lifetime warranty 60,000 btu burner, winter weather cover, wind guard, natural gas, propane hook ups and your choice of media (media is the glass or lava rocks that the flame comes though). 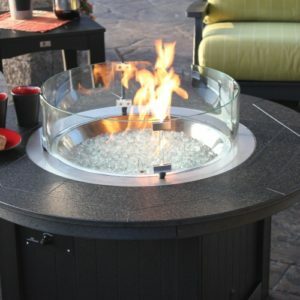 American made gas fire pits are very easy to gather around and share life events.